We have a good reason to believe that Brian Krzanich (BK) resignation from Intel Corp. was a “Roger Stone” style diversionary PR stunt, chosen by the Intel Board of Directors to protect the stock price from negative effect of vacating the top executive position. While supposedly, BK resigned his position as CEO due to ethical violation of company rules, in reality, BK was responsible for significant blunders that kept sinking the company position as a leader of the semiconductor manufacturing business. No reasonable candidate is willing stick their head in the mess that is left behind BK’s legacy. The Board of Directors is complicit in letting BK run the company unchecked for such a long time and any well qualified candidate who interviewed with the board, figured out that they will be working against the tide and without backup. The Board of Directors is aware that CEO replacement will not solve the problems that Intel Corp. is facing, because the problems are much more profound and involve general lack of trust within the organization. Consequently, they are only focusing on damage control and can live with an interim CEO who is “absolved” of long-term responsibilities. The U.S. economy is currently running in full swing. The Board of Directors is focusing on “making hay while the Sun is shining”. A new CEO, particularly one who comes from the “outside” may come up with demands for radical changes to the internal organizations and consequently put the current stock price at risk. It is likely that the Board prefers to maintain the status quo over any "revolutionary" actions. Brian Krazanich replaced the late Paul Otellini as Intel Corp. CEO in May 2013. Although presenting himself as an “engineer” in practice, BK had a very short engineering experience and very quickly, after being hired as a “process engineer” (a manufacturing position) at the New Mexico Fab, he shifted to a management track, where the rest of his career at Intel Corp. was spent. Most of BK career growth took place as a manager at the Technology and Manufacturing Group (TMG), which operates the silicon manufacturing lines (known as the "Fabs"). BK had no background in circuit design, electrical engineering, systems engineering, or software engineering which together, create the actual IP value of today's computer systems products. For many decades since its foundation, Intel Corp. held itself to high standards of transparency by keeping low overhead and sharing information with all of its employees. As part of this exercise of transparency, the company annually conducted an employee feedback study known as the Organization Health Survey (OHS). The OHS presented employees with a large number of questions, asking them to grade the company performance over a wide range of issues. The OHS goal was to give managers a realistic assessment of the efficacy of management practices. The results of the OHS were published and distributed to employees, as a matter of course, followed by a public discussion of the issues exposed by the annual OHS. 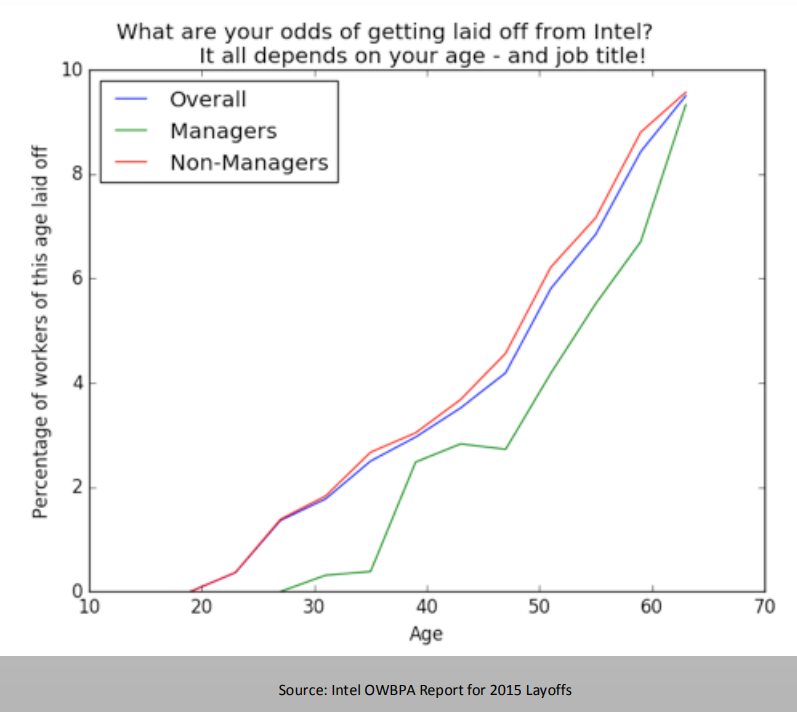 As the late Paul Otellini used to say "OHS goal is to keep Intel Corp. management in tune with company employees". In 2013 (the first year in which BK was the CEO), Intel Corp. "C-Suite" issued a message to employees that the pending, annual OHS will not be conducted for that year. This was supposedly, because BK was in his position for less than a full year. This was the first time that the OHS was not run, since inception of the practice at Intel Corp. In 2014, though the OHS questioner was distributed to employees on time, executive management refused to publish the OHS results for the first time in the history of the company. The only points that were exposed, came out of the personal blog that Richard Taylor (head of Intel HR at at the time) published on Planet Blue, the internal employee social network. The major issues mentioned on that blog included the fact that the OHS revealed significant trust issues among corporate entities, as well as lack of trust between managers and technical leaders, serving within the same business units. Since Richard Taylor’s blog was open to all employees, his comments about the OHS received a flood of comments and questions. Like other company employees, I contributed a few of these comments at the time. My comments specifically addressed the growing lack of knowledge and many times complete ignorance of significant technical issues on the part of company managers at all levels. I also mentioned the systemic diminishing of the authority bestowed upon technical leaders and the overt effort to cut their numbers in company ranks, while staffing a growing number of manager positions. At the time, we did not know that BK and his cronies were planning to lay off a large number of employees in 2015; however, in retrospective, it becomes clear that the ground work was already set for this action to happen. Interestingly, the 2015 mass layoffs were heavily skewed to exclude managers, compared to employees in individual contributor positions. This fact is clearly demonstrated by the OWBPA report filed by Intel Corp. in June of 2015. 2014 was the year in which during the course of my work as the systems architect of the Electrical Validation department, I had first row view of the 14nm process yield failures. Upon closer look and a thorough investigation I came to the conclusion that the systems used for engineering audit of the wafers coming out of the Fabs were ineffective for determining a cause-effect correlation. Establishing such correlation is a fundamental requirement for effective failure analysis and subsequent correction of mass manufacturing production flaws. While 20th Century methodologies were sufficient to monitor silicon defects and determine corrective actions for fixing silicon production flaws for many generations of Intel silicon products, it became apparent that these methods have reach their limit at the time that the last 22nm fabrication process (Haswell family of CPUs) was used at the Fabs. Looking at the vast amounts of data coming out of the production monitoring systems, I was astonished to find out that no-one on the engineering side of the company, knew how to effectively use the collected data for proper analysis as well as how to apply the analysis towards fixing outstanding yield problems. Further, it was shocking to find out that most of the petabytes (millions of gigabytes) of data was never seriously examined or utilized. In fact, most of the collected data was unfit and useless for engineering analysis. After years of inertia this revelation was the first indication of a systemic failure. A Laissez-faire approach to running a critical part of the business suddenly falling into obsolescence, mostly due to lack of scrutiny and common sense among managers. In an effort to correct the situation I began working on an initiative to revise the procedures and the methodologies used for identification of root-causes in silicon wafer failures for the 14nm and the upcoming 10nm fabrication processes. In concerted cooperation with other engineering leaders I devised 21st Century methodology, specifically using “big data” and artificial intelligence techniques for collection, organization, and analysis of silicon wafer failure handling. The foundation for this framework became internally known as the INTELligence Initiative. While it took a significant amount of time to educate and convince people that the methodology change is critical for success, a significant number of technical leaders within the engineering organizations at Intel Corp. became convinced that the new direction that I proposed is the right way to go. Further prototyping and application of the methodology were applied to real-life data demonstrating significant success. The only objections, came from high level managers, who had no technical background and were risk averse. The message that I received at the time was “go ahead and implement your solution, if you are successful, we will support you...”. The INTELligence Initiative and all the process improvements that I was leading at the time, went on the chopping block after the 2015 mass layoffs. C-Suite executives enjoyed their bonuses at the end of 2015 and the orchestra continued to play while the boat was sinking. Though my immersion in the analysis of the 14nm production problems allowed me to understand the depth of trouble that hat the company was in, I was still convinced that commonsense would prevail and the new methodology would be adopted to help the recovery process. Now, four years later, I see that the common sense never floated to the top, because the Intel Corp. organization became increasingly dysfunctional, year after year. It is now the end of 2018, BK is no longer the CEO, many thousands of experienced Intel Corp. employees had been permanently laid off in 2015 and 2016 and most of them do not wish to ever return to employment with Intel Crop. BK appointed more Vice Presidents during his tenure as CEO, than any one of his predecessors. The question remains open: "What does the company have to show for this generosity?" 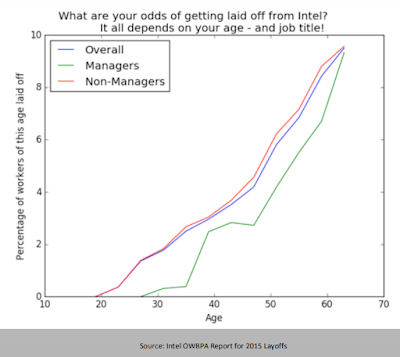 Intel Corp. has trouble finding competent people who are willing to work for the company, due to its diminished reputation as a fair employer. The employee trust issues that were revealed in the 2014 OHS have never been attended to and the employee scare tactics, subsequently employed by BK for more than four years, further eroded chances of repair. Intel Corp. sustained tremendous production yield problems with its 14nm silicon production processes while other semiconductor manufacturers, including Global Foundries, TSMC and Samsung proceed to offer reliable 14nm, 12nm 10nm and 7nm products. Intel lost its place as the number one semiconductor manufacturer in the world, more than likely, forever. AMD business success due to its reliance on external Fabs is capitalizing on Intel Corp. failure to lead in manufacturing technologies and product intellectual property development. While still fighting yield problems with the so called “mature” 14nm process current industry news give the impression that the 10nm silicon manufacturing process will never see the light of day, due to both technical and economical factors. Apparently the pressure on the limping 14nm production process is so bad that Intel Corp. is moving the system integration “Chip-set” parts back into the older 22nm production line. My analysis is that Intel Corp. is facing a plethora of technical problems that are real. However, the overwhelming problem for the company is the presence of incompetent management at all levels, in addition to lack of trust and cooperation inside business units and absence of leadership direction. The current production yield problems are only a symptom of the underlying organizational weakness and lack of leadership resolve. 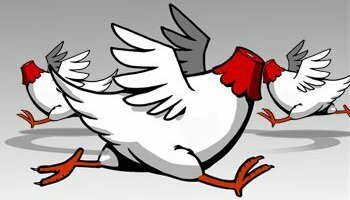 I define this phenomenon as the “headless chicken syndrome”.